Homesick & Happy: How Time Away from Parents Can Help a Child Grow (book) by Michael Thompson, Ph.D.
Real growth only comes when we’re stretched beyond our comfort zones, and that is why so many campers grow more confident during their time at camp: their comfort zone is stretched and they succeed in meeting the new challenges. Some kids end up adjusting and feeling comfortable quickly while others have a harder time adjusting. Either way, there are several ways you can both prepare and support your camper before and during their time at camp. The biggest struggle for parents often is having to hear about the discomfort of their children as they navigate homesickness, but GAC is well-equipped to encourage and come alongside both you and your child to make camp the most positive experience possible! Focus on the fun! Get EXCITED! But… also acknowledge that missing home is normal. Remind them that going to camp is good practice for when they’re older and move away for college or a job. Strategize some coping strategies for if they start to feel sad. Keeping a positive attitude and having fun, even when feeling sad. Talking to their counselor or other adult at camp. Writing a letter telling about camp and their feelings. Keeping a journal about camp. Keeping busy with fun camp activities and friends. Taking pictures to show parents after camp. Keeping a calendar and marking off days to see how quickly camp is going. Have campers pack with you. Once they get to camp, they’ll feel more comfortable if they know where their flashlight and pajamas are on the first night rather than having to frantically search through their entire bag. Pick out photos with your camper that you can print out and send with your child. They can then use them to decorate their living area and make it more homey once they move in to their cabin. Sign your child up for the bus or have them take a flight into Fresno on the way to camp. It makes for much easier goodbyes at the beginning of camp. If they ask, tell them that there is not an option to call you or come home early. For some campers, the discomfort from the first few days of camp brings up their fight or flight instinct, and all they want is to leave camp and get back to the comfort of home. If they have a seed of hope for an early pick up, they will determinedly stay miserable until rescued from their discomfort. If they know they’re staying for the whole session, they’ll start to develop their own coping mechanisms and they’ll feel accomplished and proud by the end of the session for making it through! (b) take a deep breath and think about possible next steps? Getting a sad letter from your kid is never fun, but expect to receive one during your camper’s time at camp. Realize that letters are usually written during quiet times when campers are feeling more reflective. Usually, they are perfectly happy long before the letter makes it to your mailbox. If you feel uneasy after hearing from your camper, you can contact us at 1-800-554-2267 or via email for an update on how your camper is doing. The best way you can support your camper is to write letters! Tell your kid that you want to be updated on everything, the sad moments but also the activities and new friends and adventures they’re having. Have you gone on the lake yet? Your cabin group looks like a fun crew! Validate their feelings. Your child might be genuinely feeling severe discomfort from being away from home. Acknowledge that by saying, I know you feel miserable right now and I’m sorry this is so hard for you.However, if they ask to be picked up early or talk to you on the phone, remind them that you’re going to stick with letter-writing only and that you’re not coming to get them early! Encourage them. Reassure them that you have confidence in their ability to face this challenge and have a great camp experience. Say, Even though you don’t feel like you can do this, I know you can. Let them know how proud you are of their independence and how excited you are to hear of their accomplishments when they finish camp. Redirect the conversation to something positive. Comment on a recent picture you saw of them online: I saw a picture of you jumping off your paddleboard! It looked like so much fun! You can also help your child focus on the positive by reminding them of some of the positive things of camp that they don’t get to experience at home. I can’t believe you get to have a campfire with marshmallows every night. Lucky duck! Sometimes kids are concerned that they’re missing out on things happening at home or get worried about you missing them too much. Update them on some of the boring, busywork happening at home to assure them that camp is where they’re supposed to be. Asking questions about an activity they were particularly excited about or about their cabinmates and counselors can also be fun. Remember the WHY of camp. As you deal with hearing about your child’s discomfort, it’s important to remind yourself and your camper why you chose the camp experience in the first place! Sometimes homesickness is part of the growth process, but we can instill confidence in our campers by encouraging them through uncomfortable and challenging situations rather than completely removing them from all sources of discomfort. You and your camper are not alone! 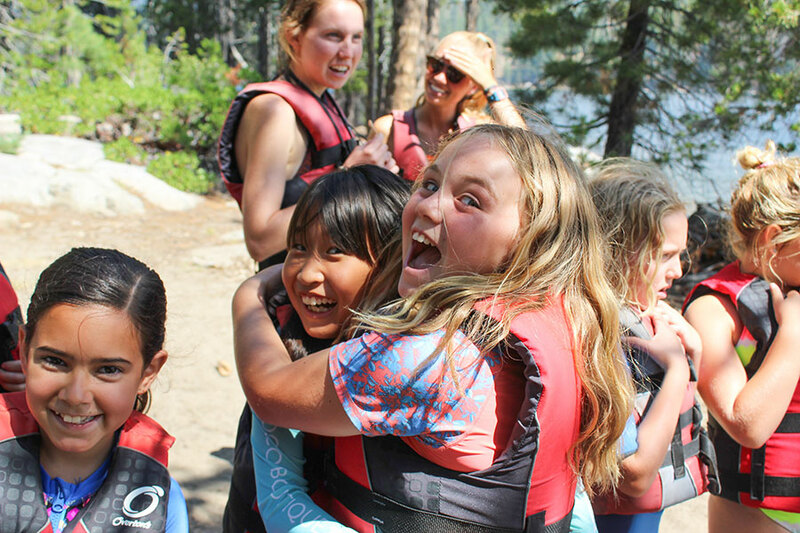 GAC is here to partner with you to help both you and your camper have the most positive and growth-filled camp experience possible. Give your child time and attention. Talk to them about their feelings and let them know they are normal. Do things for them that make camp more “homey” for them, such as read them a bedtime story, tuck them into their sleeping bag, etc. Encourage your child to use coping strategies that have worked for other campers. If you receive a sad letter from your child, call us so that we can observe your child and talk with his/her counselor. We will call you back with detailed information about your child’s attitude and behavior. Our Camp Directors, Assistant Directors, and Camp Moms are in camp with your children throughout the camp day and will call you back within 24 hours. If your child is visibly upset (crying frequently, not participating, having trouble eating or sleeping) and not getting adjusted to camp after two full camp days, we will call you to let you know what is happening and discuss a plan for helping your child adjust. You will not be contacted if your child mentions that he/she misses his/her parents but appears happy and is participating for the majority of the day. Without the option of going home, most campers adjust to camp within a few days. 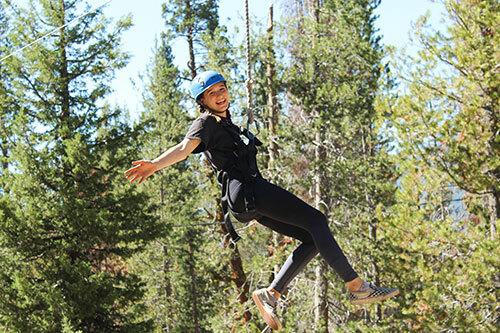 Campers who overcome homesickness and successfully complete their camp stay feel a great sense of accomplishment and independence. Call our office at 800-554-2267 if you’d like to talk with us more about homesickness.